"May You Never Be Alone"
Mother's Best Flour Show, Mornings from 7:15 to 7:30 over WSM, Nashville. Most biographies portray Hank Williams Sr. as a lonesome and forlorn young man driven to drink himself to death. And he truly was a larger than life character. However the happy crew who woke Nashville in 1949-51 sounded anything but forlorn. The show was directed to a rural and mostly female audience, pushing biscuit and cake flour, self rising cornmeal, and livestock feed products. Listening to the informal banter between Hank, announcer Louie Buck, and the Mother's Best Music Makers (Williams' back-up group, "The Drifting Cowboys") paints a picture of a music man enjoying life and singing. 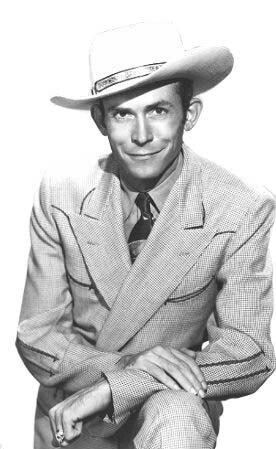 The program was broadcast during the height of Hank Williams career. But because it was believed that the program would only be heard by a limited local audience (Williams was paid $100 a week for the show) Williams was unguarded and informal on the show, and would often include songs from his childhood along with his current hits. The impression given the listener is of a pack of good ol' boys enjoying a pot of coffee and a big plate of biscuits before facing the day. The 15 minute broadcast usually included one country song, an instrumental, and a gospel song. Some of the broadcasts were prerecorded for times that Hank would be on the road. 'Cause she bakes them all with Mother's Best." 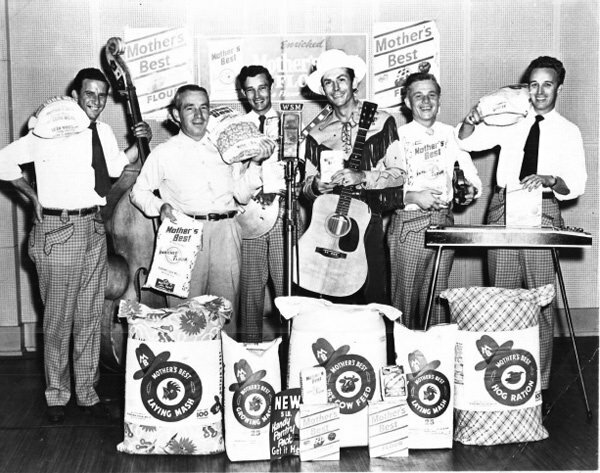 Be the first to comment on "Mothers Best Flour (Hank Williams)"